Okay, so as I type these words it is 4:00pm in the afternoon, December 3rd, and it is a balmy 55f/12c...and I am typing in Buffalo, NY, where we are known for our often harsh winters. I'm sure we're going to get a taste of it soon enough (though last year it hardly snowed at all), but for now I'll take this. And as nice as the weather is, I have to say that it is more than a bit disconcerting. It seems when I was a kid it was cold and snowy from November to March. 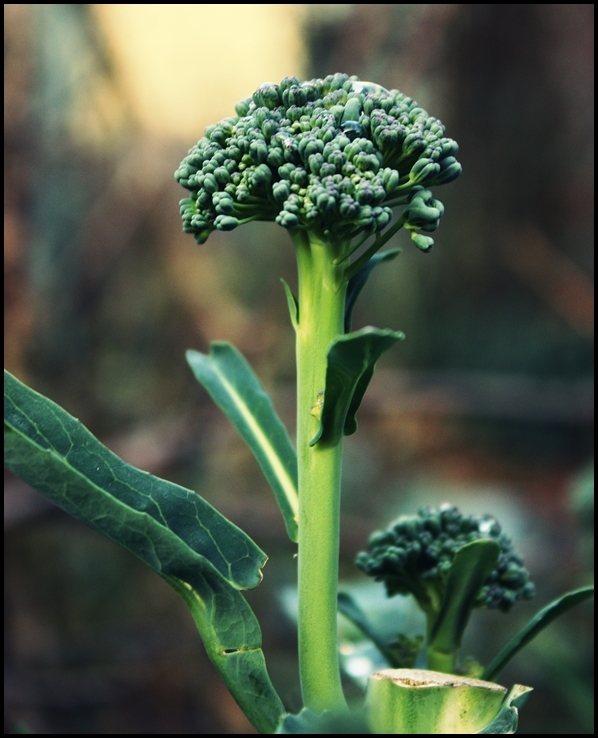 Anyhow, I just snapped this picture...yes, I still have broccoli and a few other items growing in the backyard. One of my favorite broccoli preparations is to cook it simply with olive oil and garlic (and toss it with pasta). The recipe is below, but to see photos of it being prepared, click here.